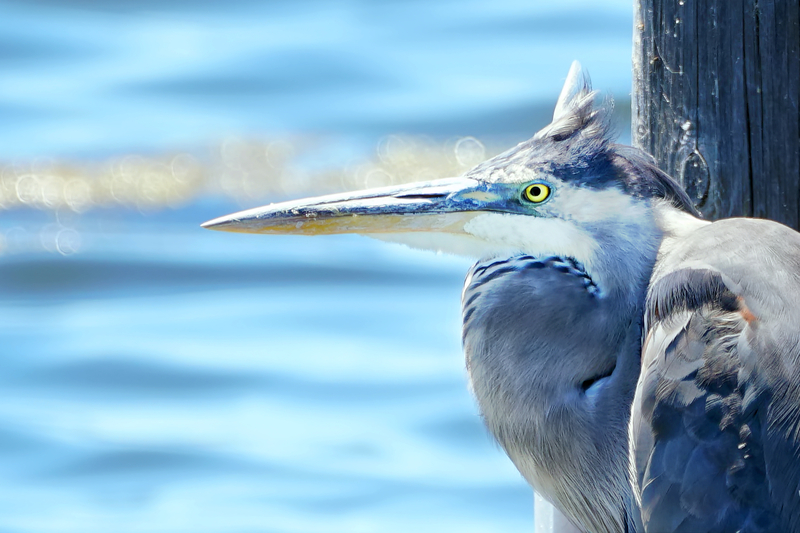 The Great Blue Heron has been my favorite bird for as long as I can remember. They are widespread and common enough to be readily seen but rare enough to seem exotic to me every time I see one. Three sub-types, that have at various times been considered separate species, differ by plumage; the typical Great Blue, the Great White and the intermediate Wurdemann’s. I’ve been fortunate to see and photograph all three sub-types in locations from Saskatchewan to Belize. Check out the gallery below for some of the results. Click through for higher resolution versions. 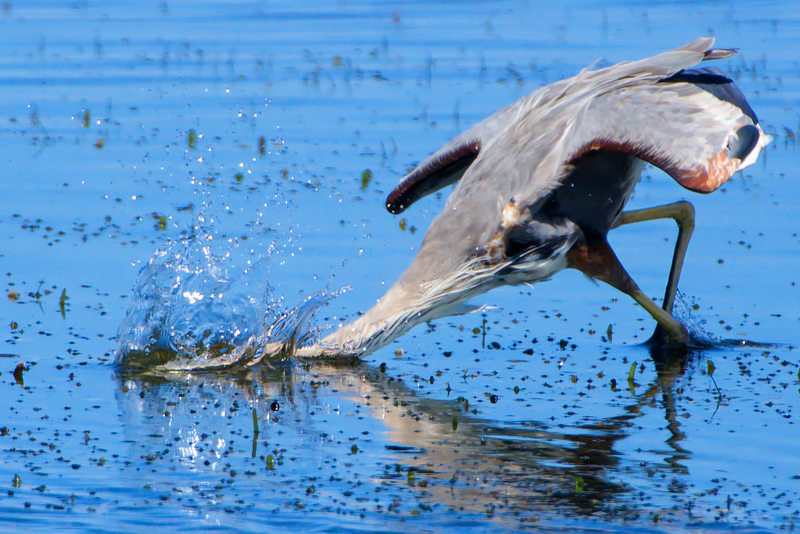 The typical Great Blue Heron in the first two shots below was fishing in a favorite spot near a floodgate on a San Francisco Bay salt pond levy. When I approached beyond its comfort zone it stopped and stared me down. 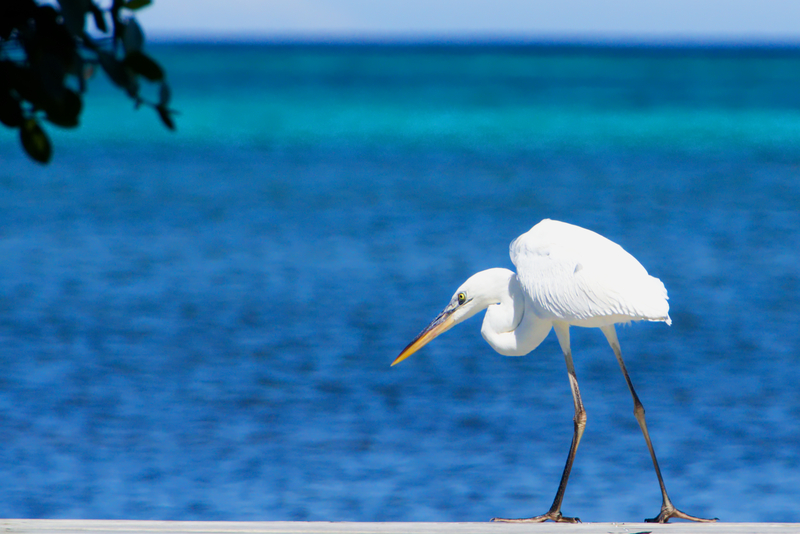 The Great White Heron in the third photo below hid for a while in a mangrove patch while I leaned up against a palm tree on the beach and waited. Eventually the big bird hopped up onto a nearby dock and posed for a couple of shots before it skipped off the end and flew away. 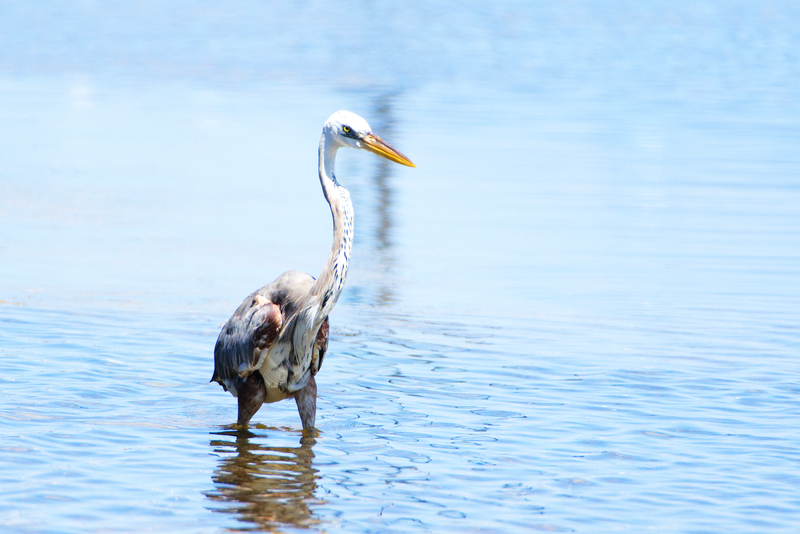 The Wurdemann’s Heron is an intermediate. 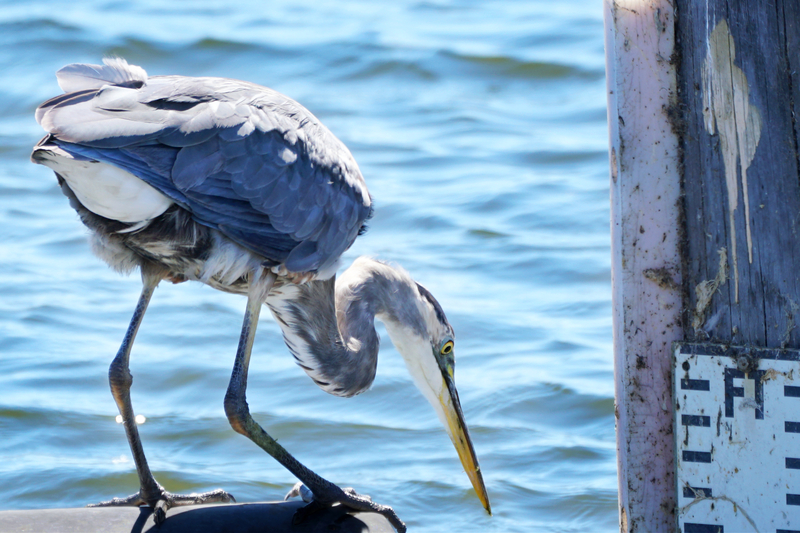 It has much of the Great Blue’s plumage but with a solid white head. 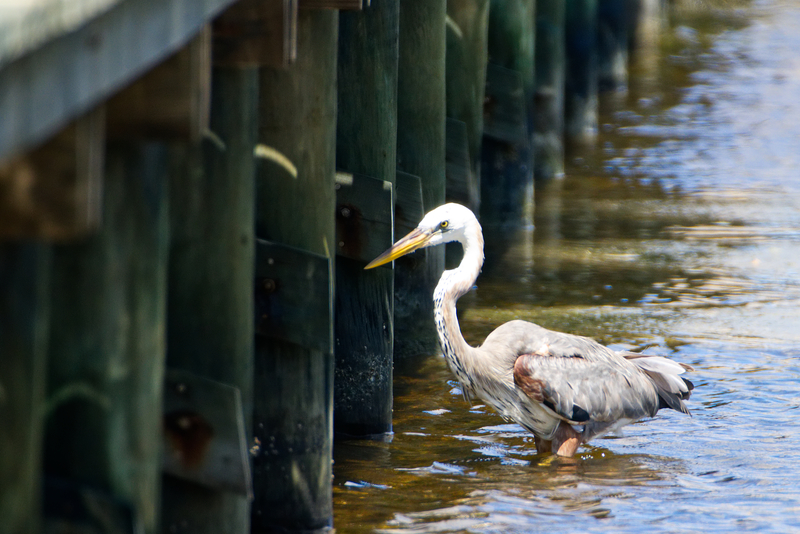 This one alternated periods of fishing in the shallows and hiding out under a dock. Next Next post: Parker Fetch!